pishtech.com • View topic - Well, I did it! Well, for as long as I have been an avid fisherman, for all the knots I know, species I have caught, lures and bait I have used, I decided that it was time to teach myself a little something different and add another dimension to my fishing exploits. After careful studying, thinking of the species of fish in this area, waterways, time, and some really helpful advice from Stanley, I finally picked up a fly rod starter kit! It is a 7/8 wt, 9' rod, WF-8-F line (need to find out what that means LOL), and a few flies. Even has an instructional DVD! I think it will help that I already have a general idea about casting, but just have to learn how to actually cast and cast accurately. I have a lot of knowledge of different knots, which will come in handy for attaching line, leaders and flies. It's gonna be a long road of learning and mistakes, and of course learning FROM mistakes, but I think I'm up for the challenge! The rewards are well worth it! Hopefully, I'll have pics of my first fish on the fly this weekend for you guys! Thanks Stanley for all the advice and pointing me in the right direction! Re: Well, I did it! Congratulations for taking the plunge into flyfishing. It will be something that you will not regret and will have a lot of fun doing for the rest of your life. Ninjata gave you some very good explainations on the WF flyline. WF lines are good for biggish and heavy flies (like a cork or deerhair popper, and weighted streamers), or when you want to achieve long casting distance. The Double Taper line is more suited for delicate presentation of smaller flies to wary fish. It will make less of a splash when it lands in the water. The double taper is used mostly for trout fishing when gentle presentation of the fly is usually required. Usually the weight of the line should match the weight of the rod. If this is not the case then casting can become difficult and a frustrating experience. If you used say a 4 weight line (very light) with your rod the stiffness of the rod combined with the lack of weight of the line will make casting almost impossible. Remember in fly casting it is the weight of the line that you will cast, not the lure. On the other hand, if you used your line (8wt) in a size 4 rod, the heavy line will overpower the light rod and you can't execute a good cast with the rod. The rod will be too light and flexible and will feel like a noodle in your hands. There is a lot to learn as you go along. I am sure everyone here who is an experience flyfisherman will be more than happy to help you with any questions that you may have on equipment, technique, etc. Good luck with catching your first fish. Those hungry Largemouth in your friend's pond will be a great first target for you. Try to fish for those very early in the morning or late in the evening when they are out of the deeper cooler water and will be foraging along the shore line. Thank you very much for the info about the line. So, if I understand correctly, lets say I decide to go for trout in a stream or larger creek/small lake. It would be better off for me to switch lines to a 6,7, or 8 wt DT line? Or does it strictly have to be 8 wt DT? Curious because with other lines and rods, there is a range of test weight classes for each rod/reel combo, such as for example a Medium action rod can effectively cast line weights of 6-15lb test (higher for braid). 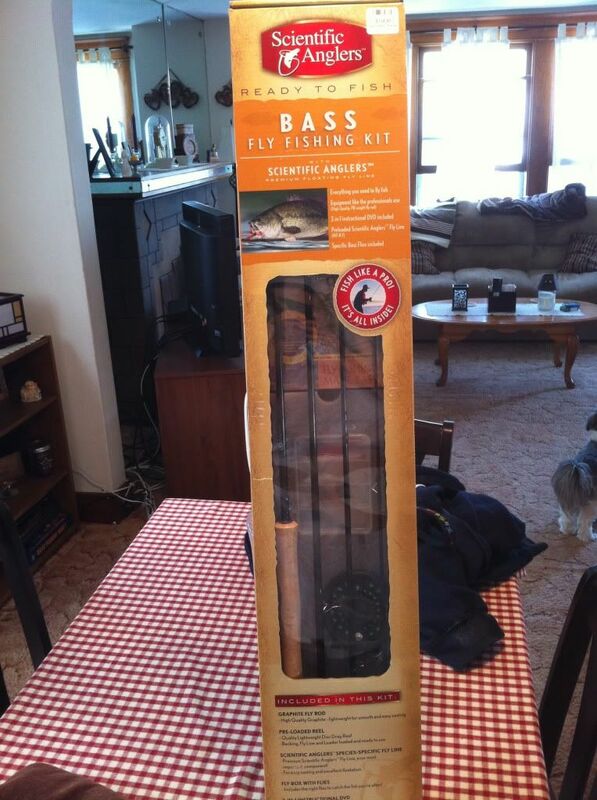 Is this the same with fly rods? Looking forward to giving it a shot this weekend. Heading to the Southern Tier for the weekend, and along with our family property in Great Valley, NY, we are also stopping out in Franklinville to help Gary tear down a trailer, so will fish there too. Also going to Chautauqua Lake, which happens to be one of the world best Muskie waters in the US. Will probably get some practice with the fly rod at Gary's place in his three ponds, and I also have the Sprague Lakes in Great Valley to practice on as well. Looking forward to giving it a shot and HOPEFULLY catching my first fish on a fly rod! Although, I do have a other question regarding flies that I will post for you when I get home from work today and before I leave for the weekend. It has to do with the flies that came with the kit, exactly what they are and how to work them. Thanks for the help so far guys! To answer your question re WF and DT lines. The bass rod that you have is pretty heavy and stiff and should be good for almost anything that you might catch in fresh water... including Muskies and Pike, bonefish, etc. If you put a small DT line on your rod, it will still work but casting will be tricky as you will have difficulty "loading" the stiff rod with a light line. It is still doable though. Think about casting an ultra light spinner with your big bass spinning rod, the effect would be about the same. You can cast ok but the stiffness of the big rod will not help you get distance because the spinner is so light. If you would take a snap shot of the flies included with your kit we will be able to tell what they are and how to use them effectively. Ok guys, here are the flies. I know the bottom one, the red and white one, is a streamer of some sort, but what are the other two? And how exactly do you work them? The Wooly Bugger is perhaps one of the greatest all purpose flies of the Century. The purist hate them ( because they are generic, effective but does not have a Latin name) but they are extremely effective for all kinds of fishing and fish. Like Ninjata said it works for all kinds of species and are relatively easy to tie (your next project! ) They come in all sizes and colors and some of them are even made with rubber band legs to give them more lively action under water. All the flies that you have are known as streamer/attractor flies. The streams of course imitates a minnow while the Wooly Bugger imitates all kinds of things swimming under the water surface. A large swimming nymph, a little crawdad,etc. These flies are usually fished under the water surface and retrieved in a slow but rhythmic jerky motion. You would cast the fly into the water, hopefully some distance from you (20-30 feet would be OK, further would be better), then you do nothing and allow the fly to sink slowly to the bottom where most of the fish would be, after the fly reaches bottom you make it come to life with a series of jerks and pauses. When you do this the feather or the hair will pulsate under the water and the fly will rise slightly towards the water surface as you pull on it, then sinks back down when you pause. You can attach a leader to the fly and try to work it in you bath tub or kitchen sink and you can see what you will need to do to turn these flies into something that seemed to have life to it. It is generally belied that fish are color blind and they don't actually see the colors like we do, they see spectrum of grey so the darkness and the lightness of the fly matters the most in fly construction. Bass are weird and they are attracted to black, purple, green and sometimes red. (in their respective spectrum) The bright coloration is mostly for the fishermen's own psyche! The White colored streamer would be very effective for fish like Crappies and sometimes Bass and sometimes even Pikes as they are voracious minnow eaters. Many Pikes are hooked when you are fishing for Bass but they are seldom landed. The reason for that would be the leader you would use for Bass fishing would be nylon, around 6 lb test and the Pike will chew through it like a piece of noodle with their sharp teeth and get away. To catch a toothy Pike effectively you will need to put on a length of wire leader and attach you fly to it. A good rule of thumb is to use a light color fly when the light is dim. e.g. rainy and dark days. One would use a darker color fly when the light is good. I personally don't think this makes as much difference as one may think but this combination will give the flyfishermen better visuals of their flies working under the water surface. I do have a good suggestion for you for starters. Go to a local flyshop in your area and talk to the owner about flies for bass and panfish fishing. 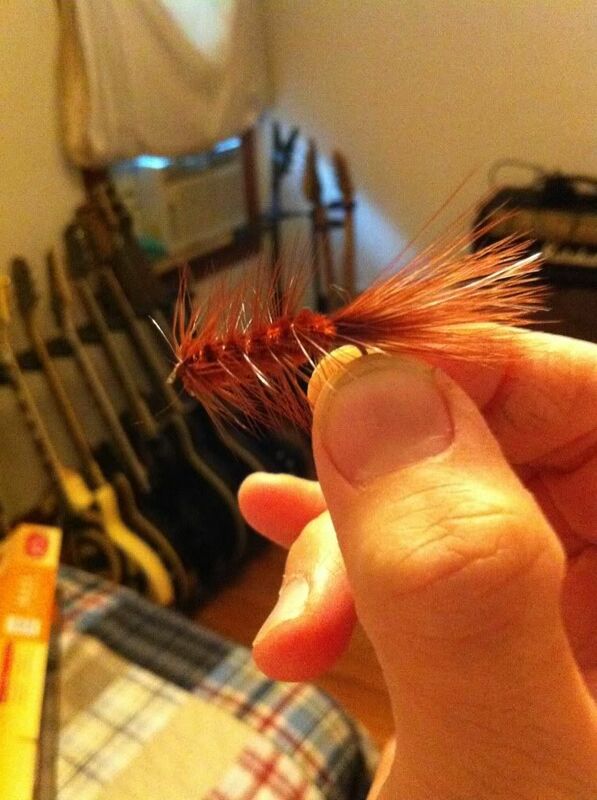 He will be able to show you the many types available and you will get a good idea as to what they are and how these flies work in a real fishing situation. If a corked body popper is not included in your flyrod kit you should get some from either the flyshop (more expensive) or a large department store sporting goods department that would have them. (much less expensive but probably less well made) Another suggestion I have is for you to get a starter flytying kit and make your own flies. This will enhance your flyfishing experience no end and you can make your flies quite inexpensively by yourself. Not to mention the fact that it is very satisfying to catch any kind of fish with a flies that you have made yourself. Enough for you to digest for now. By the way, included with the great RWFF software is a fantastic flytying tool. 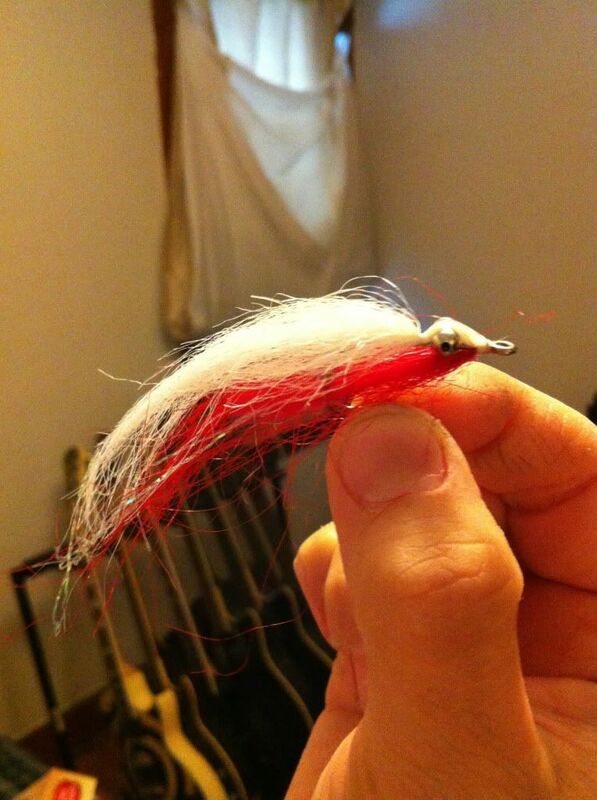 You can try using that and create your own version of Bass flies. 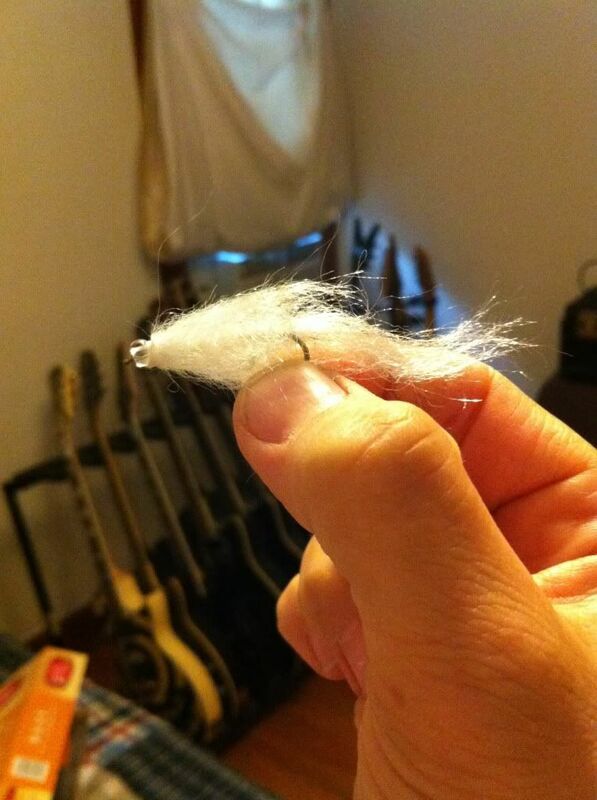 If it looks good to you then you can pull out your flytying kit and do the same thing! How great is that?